The 2018 Honda Civic and the 2017 Honda Accord are two of the top sedans on the road. Both offer drivers a blend of power and efficiency, a long list of standard and available features, and plenty of room for passengers and cargo. Use this quick comparison to determine which model is right for you, then explore our new Honda inventory to find one you like, and visit VIP Honda in North Plainfield to explore them both up close. 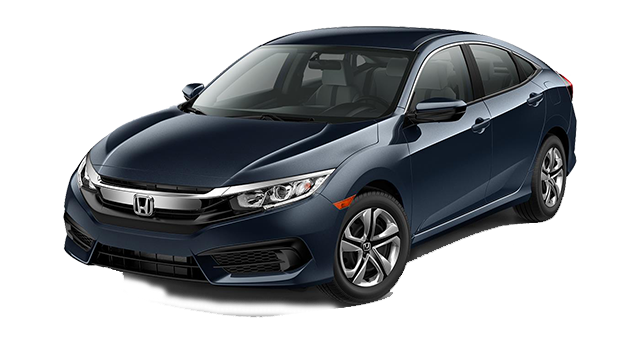 The 2018 Honda Civic sedan has a starting MSRP of only $18,8401, making it one of the most accessible compact cars around Union. 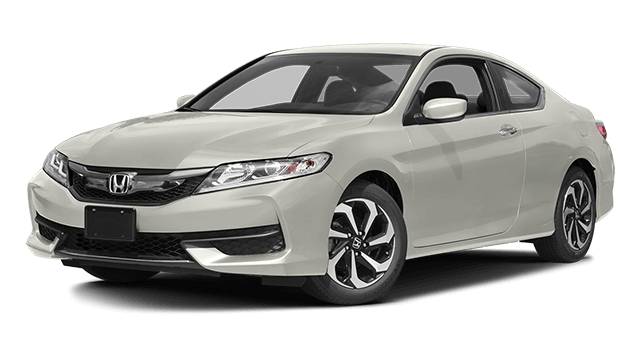 The 2017 Honda Accord is bigger and offers more powerful engine options, which is why the MSRP starts at $22,4551. The 2018 Civic comes equipped with an in-line 4-cylinder engine that gets 158 hp and 138 lb-ft of torque while achieving 28 mpg city 40 mpg highway (LX model with 6-speed manual transmission).2 The 2017 Accord comes standard with a 2.5L 4-cylinder that delivers 185 hp and 181 lb-ft of torque and gets 23 mpg city and 32 mpg highway.3 The Accord is also available with power ratings of 278 hp and 252 lb-ft of torque on the EX-L V6 trim. The Civic is considered a compact car but offers a spacious 112.9 cubic feet of interior space and 15.1 cubic feet of room in the trunk. The Accord, on the other hand, is the roomier of the two vehicles with 119.0 cubic feet of interior volume and 15.8 cubic feet of space in the trunk. These cars come equipped with a number of appealing features as standard. These include a central display screen with a rearview camera, Bluetooth connectivity, and a stereo with a USB port. At higher trims, both come with advanced infotainment systems, sophisticated safety technologies like blind spot monitoring, and upscale amenities like leather upholstery and premium sound systems. If you want an accessibly-priced option with solid efficiency ratings, choose the Civic. If you desire more power and need more space, go with the Accord. And if you are still trying to make up your mind, work with the team at VIP Honda. We have an extensive Civic inventory and Accord inventory in stock right now, including models with navigation. Contact us with your questions, or to find out about other popular vehicle match-ups like the Civic vs. Corolla. 1MSRP excluding tax, license, registration, $875.00 destination charge and options. Dealers set own prices. 228 city/40 highway/32 combined mpg rating for LX model with 6-speed manual transmission. 31 city/40 highway/34 combined mpg rating for LX & EX CVT models. 31 city/42 highway/35 combined mpg rating for EX-T model with 6-speed manual transmission. 32 highway/42 highway/36 combined mpg rating for EX-T, EX-L and Touring CVT models. Based on 2018 EPA mileage ratings. Use for comparison purposes only. Your mileage will vary depending on how you drive and maintain your vehicle, driving conditions and other factors. 323 city/32 highway/26 combined mpg rating for 6MT models. 27 city/36 highway/30 combined mpg rating for CVT models. 26 city/34 highway/29 combined mpg rating for Sport CVT models. 21 city/33 highway/25 combined mpg rating for V6 models. Based on 2017 EPA mileage ratings. Use for comparison purposes only. Your mileage will vary depending on how you drive and maintain your vehicle, driving conditions and other factors.